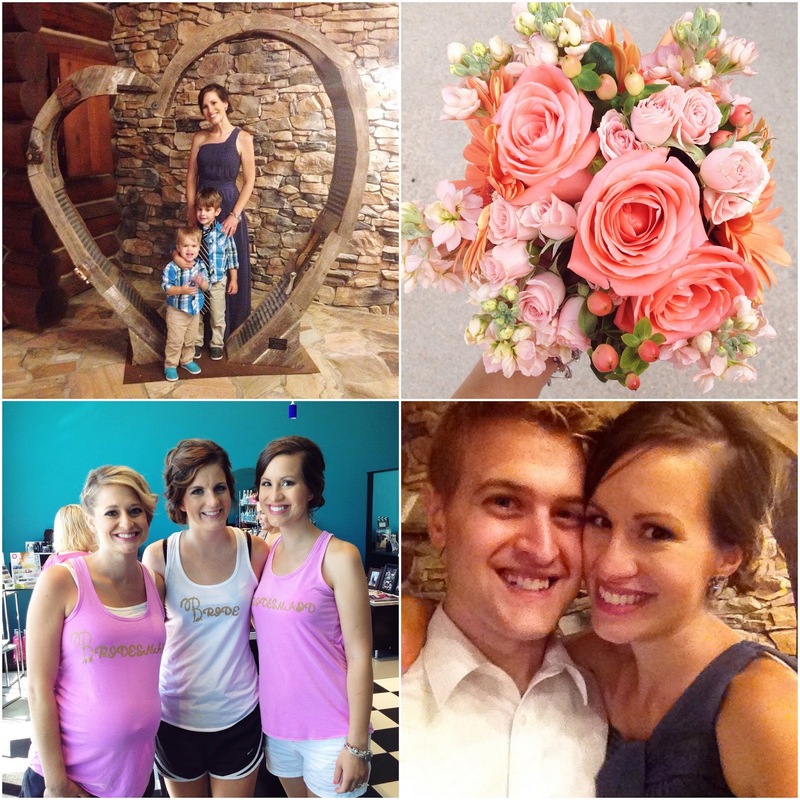 A couple of weeks ago, we embarked on a 1,000 mile road trip to Nebraska for my cousin Katie's wedding. 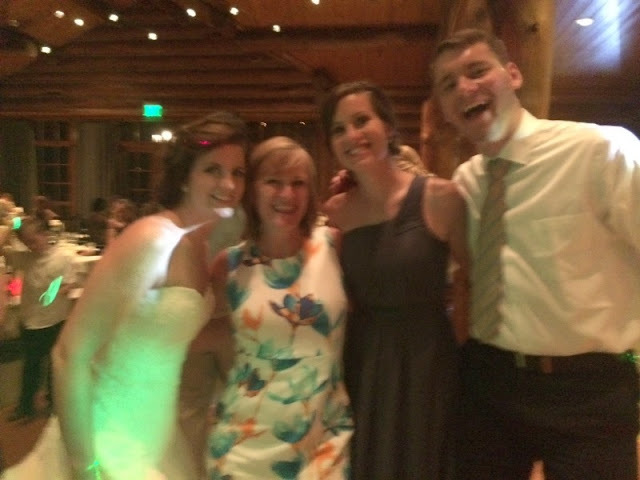 We had the BEST time celebrating Katie and RJ and spending time with my extended family. I lived in Lincoln for all four years of high school, so it's a joy to visit and reconnect with my friends there. Our first stop on the way: Indiana. We had pizza burgers and orange jello with my Grandpa Dan, Gayle, Aunt Sally, and Uncle Bill. The boys were in heaven to ride in the Ninja Turtle Jeep while eating snowcones. Stopping for lunch the next day at Culver's in Illinois. 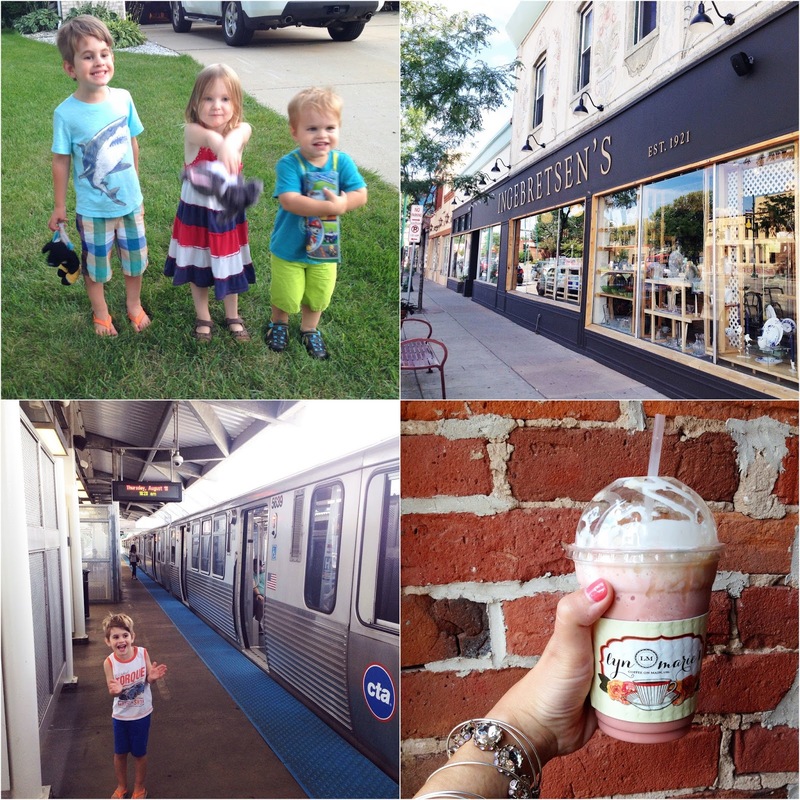 Butterburgers and hot fudge sundaes--Mmm! We were on I-80 driving through Iowa (only about an hour from Nebraska) when we heard our tire suddenly pop. We had driven over an S-hook that destroyed our tire. Steve changed the spare on the side of the very busy road. I made a few calls and found a tire center at a Walmart about 10 miles away. It was 6:30, and they closed at 7, so we made it just in time. I took this photo of the boys at Walmart when we saw our first sign of being close to the Cornhusker State. 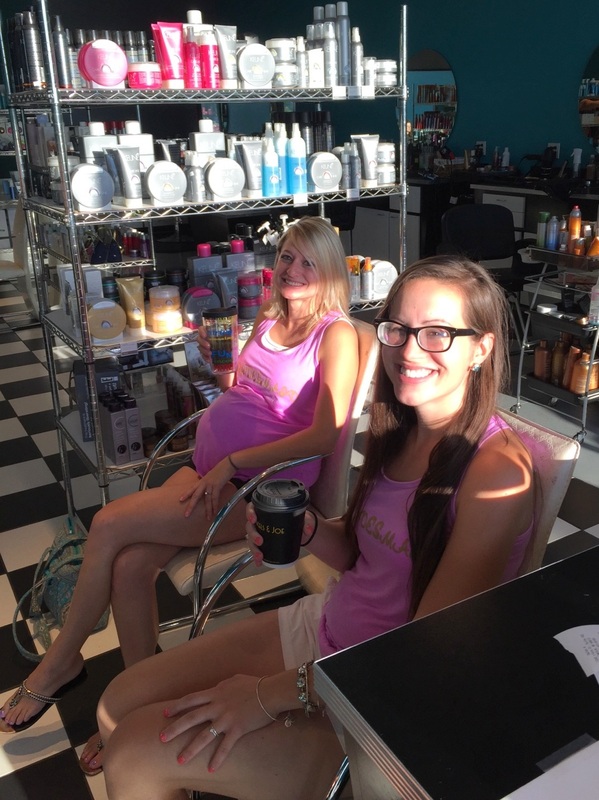 Friday afternoon, I went with Katie, the other bridesmaids, and the moms to get our nails done. Steve brought me lunch: Pad Thai from Noodles & Company (a particular pregnancy craving which we don't have at home). Yum! Mother and daughter getting ready. 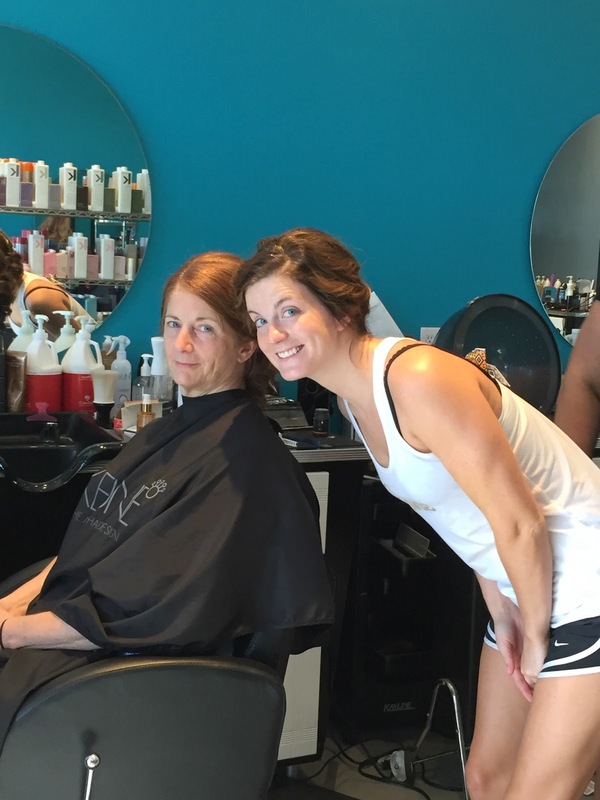 Trisha, Katie and I - ready to go after a full morning at the salon. Saturday also marked the halfway point of my pregnancy - 20 weeks!! Trisha made us the cutest bride & bridesmaid shirts! Getting dressed at the church. Katie was stunning!! The most beautiful bridesmaid's bouquet with coral and light pink flowers. I absolutely loved it! My cousin Tim escorting Aunt Tina into the sanctuary. Watching Katie walk down the aisle. Our Uncle John performed the ceremony. A sweet moment where Katie greeted her two boys, the ringbearers. The reception was at a fancy lodge on a golf course, just down the road from my old high school. The coral, gold, and white colors were gorgeous! I had Steve take a couple of photos of my hair from the back. I wish it could look like this every day! Steve did such an amazing job with the boys all day. 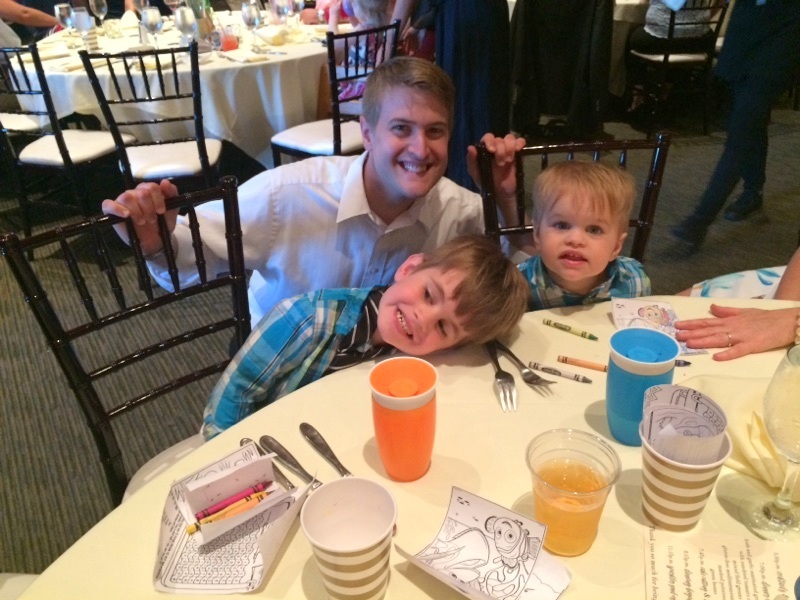 It's not easy keeping them entertained at a wedding and reception! I am so in love with this photo, and I'm glad we took it right before they got in the car to leave. 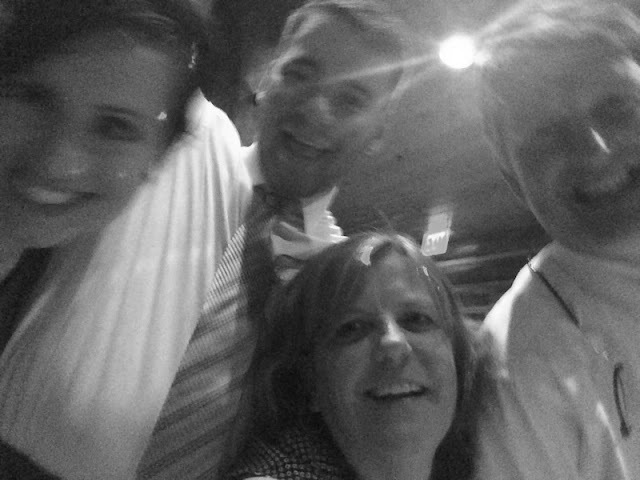 Katie, Aunt Evie, me, and cousin Andrew on the dance floor. One last photo of the hair and makeup (and the bump!) before I went to bed. The next morning, we went to Uncle Paul and Aunt Tina's house for brunch. Donovan, Ephraim, Nolan, and Liam! After this, it was time to continue our road trip on to Minnesota!! Thank you, Katie and RJ for letting me/us be a part of your special day! We had a blast! I'll post the second half of our road trip tomorrow!